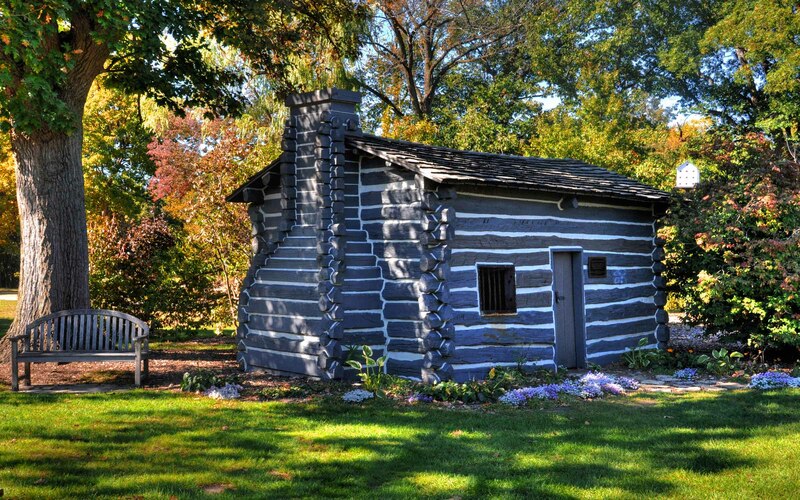 In 1912 Samuel and Colonel David N. Foster and their families donated Foster Park to Fort Wayne. 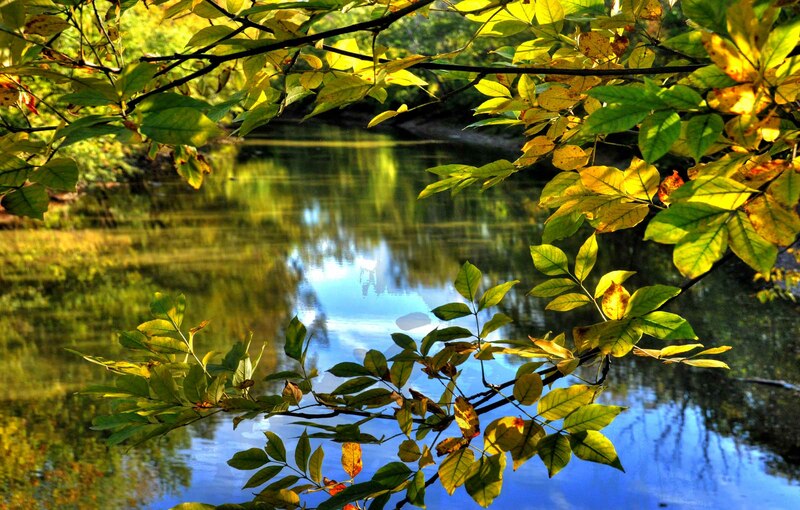 The land extended along the St. Mary's River for some two miles, including wooded areas. The original wooded section contained 67 acres. Shortly after the addition of that land, the Fosters again made a donation. This time, another 40 acres. This extended the park as far as the Stellhorn Bridge. 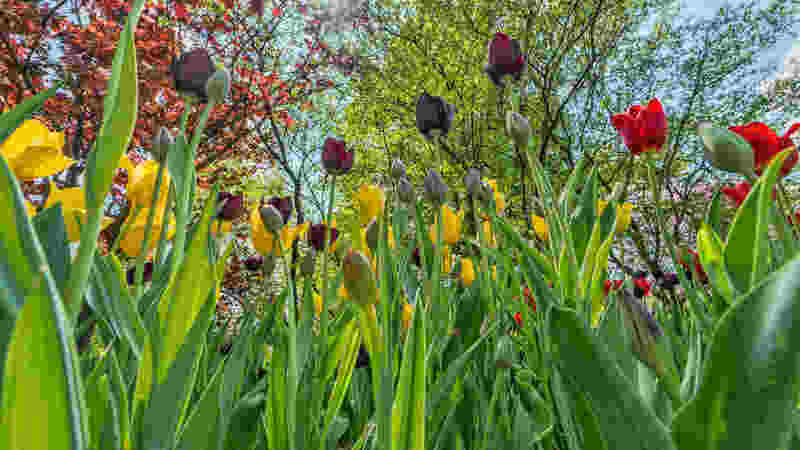 In the early 1920's the Park Board purchased 111 additional acres of land making the park an area of 218 acres, and bringing the park to four miles of river bank. In the large area the Municipal Golf Course and pavilions were and are located. 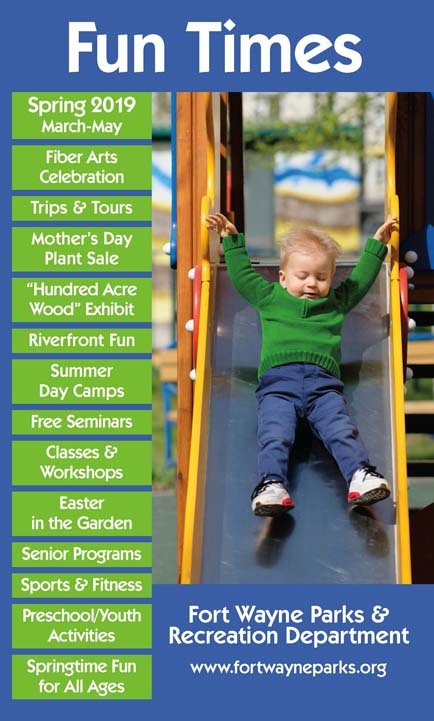 In subsequent years additional land was added making for a total of 255 acres and Foster Park now also includes:swings and other play equipment, tennis courts, trails, floral areas, a replica of Abe Lincoln's Birth Cabin, and a cable foot bridge among other features. Check out the NEW Ecology Trail Guide of Foster Park produced by Emily Richardson a student at The University of Saint Francis. Foster Pavilion I: Capacity 336. Open pavilion with a small enclosed kitchen, short distance to community restrooms and playground. Foster Pavilion II: Capacity 128. Open shelter with four picnic tables. Adjacent to restrooms and playground. For more information check out the Pavilion page. 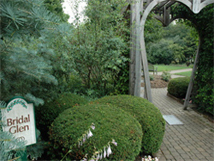 The pride of the Fort Wayne Parks Department is Foster Park Golf Course. This 18-hole layout, plays to a par 71. 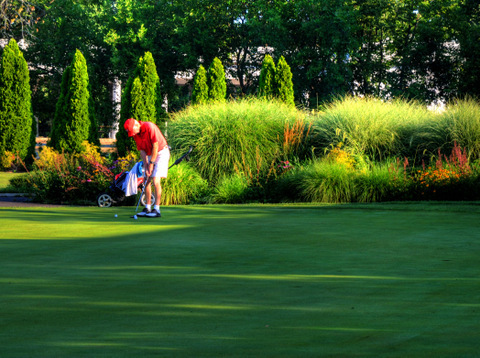 The surrounding park and woods provide an incredible back drop to a challenging course. The course is maintained in excellent condition and with hole locations close to one another the course is easy to walk. Check out www.fostergolfcourse.com for additional information. 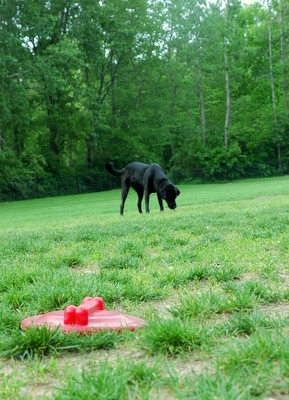 Pawster Park Pooch Playground is located in Foster West on Winchester Road, just off of Bluffton Road. 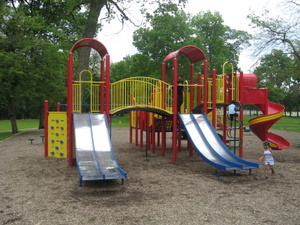 It is a public facility owned and operated by the Fort Wayne Parks and Recreation Department. All dogs (except female dogs in heat) are welcome to play in the park. All dogs are subject to the rules and regulations, explained on the Pawster web page. Plenty of playground equipment for all ages to enjoy. Slides, swings, and a full fledged jungle gym. All right next to Foster Pavilion II. The Bridal Glen may be reserved in two-hour increments beginning as early as 8 a.m. Call 427-6015 for more information. 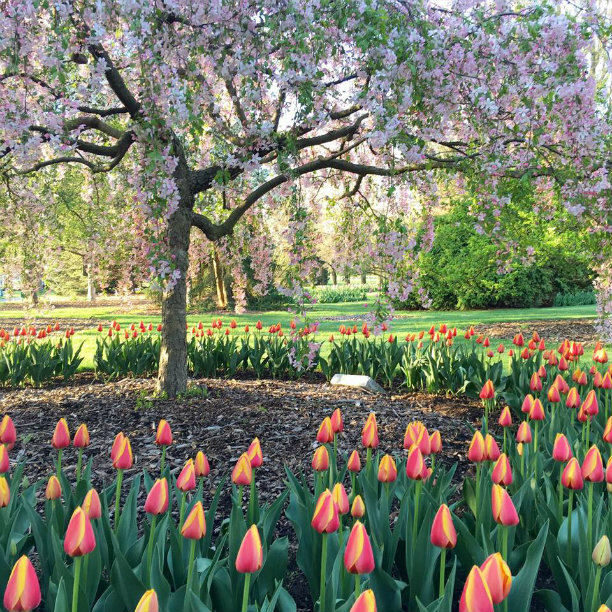 Foster Park boasts a beautiful floral display each season. 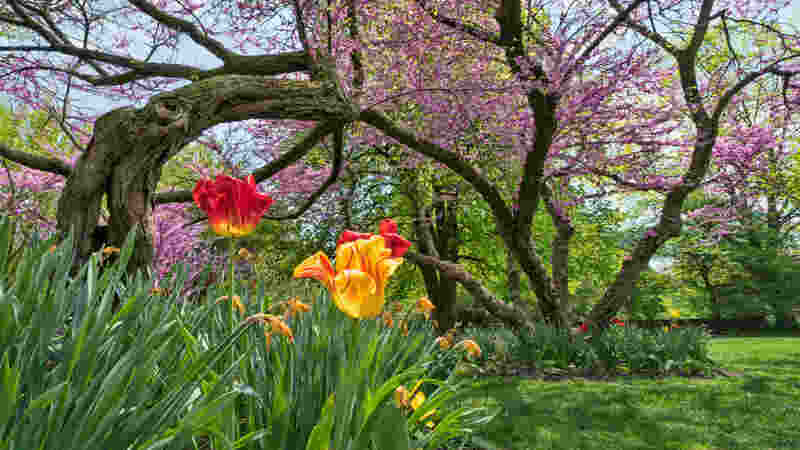 Visit it throughout the spring, summer, and fall to delight in a multitude of colors and flora species. If you enjoy running, walking, biking or rollerblading, the Rivergreenway Trail provides the perfect opportunity to enjoy your sport! 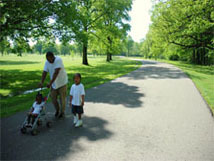 The loop in Foster Park is approximately 2 miles long or venture to the north or south to go further. 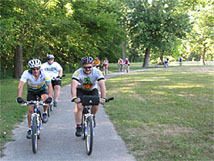 Check out the Rivergreenway link for more information. 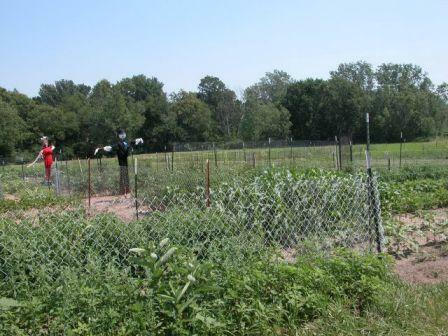 If you would like to have a vegetable garden but space is a premium, check out the Foster Community Gardens link for more information.